The Presentation & Design team in Chillibreeze is an eclectic group! The team has people from varied backgrounds—graduates in Fine Arts, Engineering, Business Management, Biology, Accounts, Bio–Chemistry, people with just a high school degree and so on! Educational qualification does not seem to matter! The unifying factor seems to be the love for learning, willingness to be coached to become leaders, being team players, and enjoying the work they do. 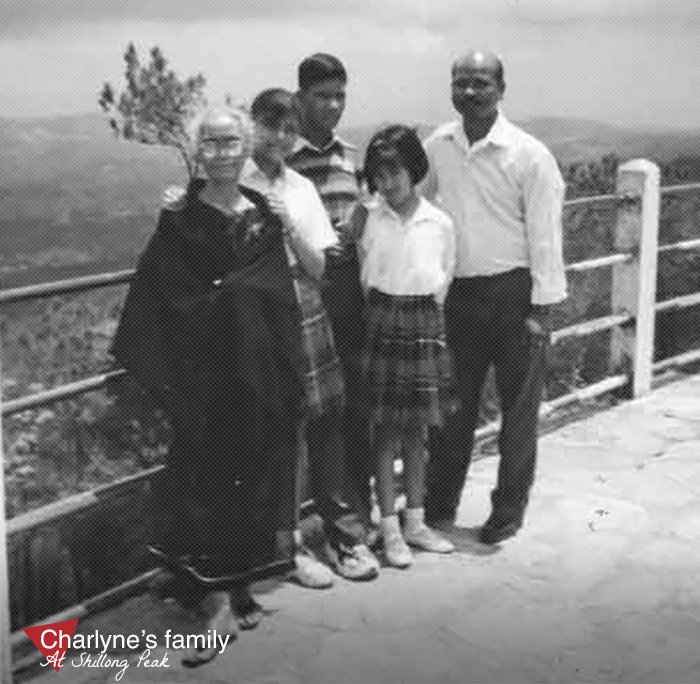 Meet one more member from this team—Charlyne Sohtun. Today I am a Team Leader Presentation and Services in Chillibreeze, shouldering important responsibilities and enjoying my work. Why did I move to Chillibreeze, though I had a job in an IT company? Why do I find my work in Chillibreeze satisfying? Why is my father my hero? Yes! I am from Shillong too and I love the city! If you have been following these blog posts, I am sure you would have noticed that many of us are from Shillong. I belong to the Khasi tribe and was born and brought up in Shillong. I love the city. I am part of a big family! We are 5 siblings—four sisters and one brother. 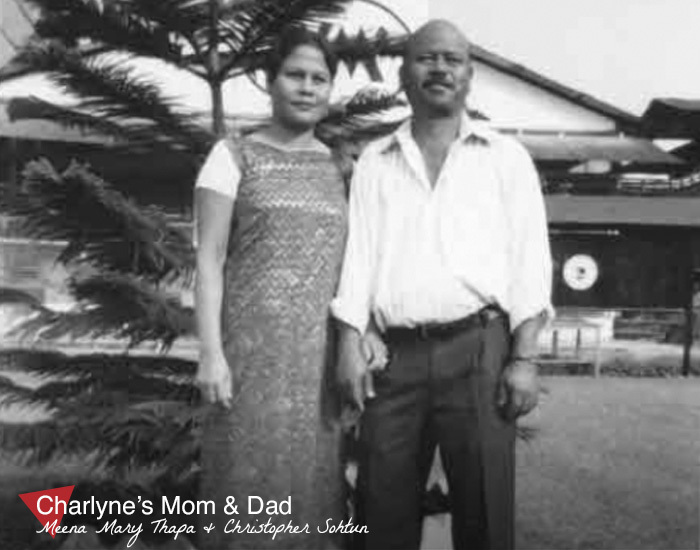 My father, Christopher Sohtun, is working as a Security Guard in MeECL (Meghalaya Electricity Corporation Ltd.) and my mom, Meena Mary Thapa, is a housewife. From L to R: Grandmother, Sister Philipa, Brother Rufus, Charlyne, Dad Christopher. Two of my sisters and my brother are married and they live separately. I am the youngest. As per Khasi tradition the youngest daughter takes care of the parents in their old age and so I have this responsibility. We live in an area called Nongmensong. My father is my hero and I always do what he says. He is a disciplinarian and teaches us to run our lives within what we earn, by budgeting. Growing up we never got pocket money! He constantly reminds us to ‘Speak the truth’ come what may and he does so himself. I believe that this principle has helped us in many ways and we have earned the trust of our family and friends, all thanks to my dad. He has always been strict with us and would tell us not to stay out late. We had to be home on time. My mother is an exceptional person too—very loving. She is selfless when it comes to taking care of us and has made a lot of personal sacrifices for her family. I feel so blessed to be part of such a loving, close–knit family. I have pleasant memories of childhood. 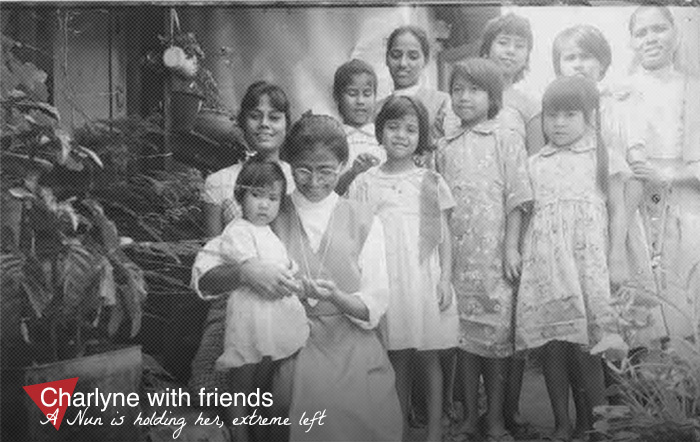 I would like to share a rare photo I have of my childhood friends. I completed my schooling in St. Jerome school and Shillong College. I would like to share something funny that I remember from my Shillong College days where I did my final two years of schooling—the 11th and 12th grades. This happened when I was in the 12th grade. I was a member of the National Cadet Core (NCC) and I was to reach the college by 5:30AM one morning for training. But, I was late and went running to—reaching there at 6.30AM. As I entered the gate I found the Principal & Vice–Principal of the college standing there and clapping for me! They mistook me to be the winner of the Marathon race that had started from our college earlier the same morning!! It was so embarrassing! I completed a four year Diploma course in software engineering in 2011 from Kuvempu University, through their distance learning program. The classes for many of the courses for the Diploma were held in NIIT, Shillong. Immediately after I completed my diploma I found a job in an IT company in Shillong, but I stayed there for only 9 months, after which I moved to Chillibreeze. I found it hard to adapt to the environment—maybe because it was my first job? I do not know. But after coming to Chillibreeze I can see how the environment can make a difference! I found it very formal—where it was important to know how to address our seniors—as ‘Sir’, ‘Madam’ etc. This was not easy as I was not used to it. At times the office would get noisy. The pay was not adequate. The office was very far away from my house, which meant I had to spend a lot of time and money on travel. Not surprising that I wanted to look for another job! I had heard about Chillibreeze when I was under training in NIIT. I knew that it was tough to get into as it is considered one of the top companies in Shillong to work for. My sister, who was working in the call centre close to Chillibreeze, spoke to me often about the company too. I was keen to join and I followed the normal process—applied online, wrote the online test, then the interview etc. I was thrilled when I got a call from Ibansara of the HR Team to say that I had been selected and could join the training session! Without thinking twice, I immediately resigned from the company I was working for. I remember having to explain to my father why I took such a hurried decision. I told him that I did this because I had got a job in Chillibreeze, something I was looking forward to and needed to go for training! My expectation from Chillibreeze at that time was better pay so that I could support my family. This came true. But, I gained so much more from Chillibreeze—not just money! After starting to work in Chillibreeze I see that I am more mature, more responsible and know the value of time. In my early days in Chillibreeze I used to take leave often. The HR & Admin team pointed this out to me. 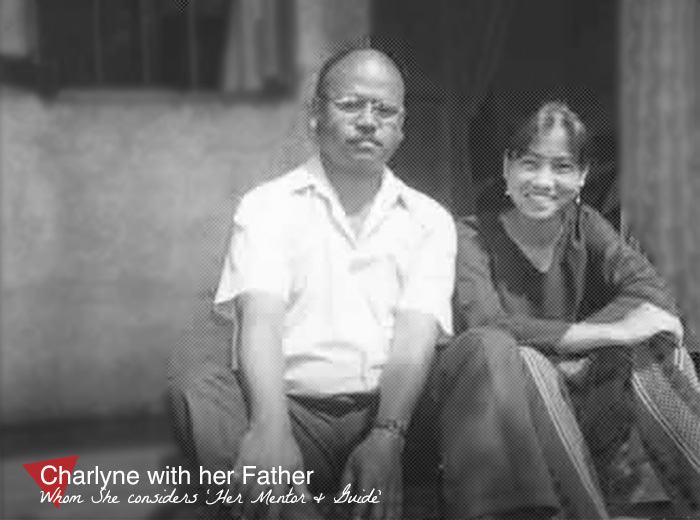 But then those were the days my sister had had a life–saving surgery and was in a hospital in another city, Guwahati. So, I had to take time off to help the family. But, after that I have been very punctual. In fact my responsibilities in Chillibreeze are increasing. Our managers coach us to become leaders and take on more responsibilities. Punctuality is essential for us to succeed and this has become second nature to me now! I am now punctual not only in reaching the office, but also anywhere I go with my friends or family. Related to skills I would say I have really improved a lot and I think it is because of my progress that I got a promotion and now I am a Team Leader. Since joining Chillibreeze I am becoming more responsible in managing my finances too. I follow what my father used to do and use the saving tips that our Accounts Manager shares with us. I had always seen my father draw up a budget every month so that he could stretch his pay to cover all our needs. Now I draw up a budget too. I have a notebook at home where I note down my expenses. I have a budget for the whole month – on where to spend, how to save and where to invest. I am able to help my family whenever they are in need. With the money, I saved I am able to buy myself things I want. 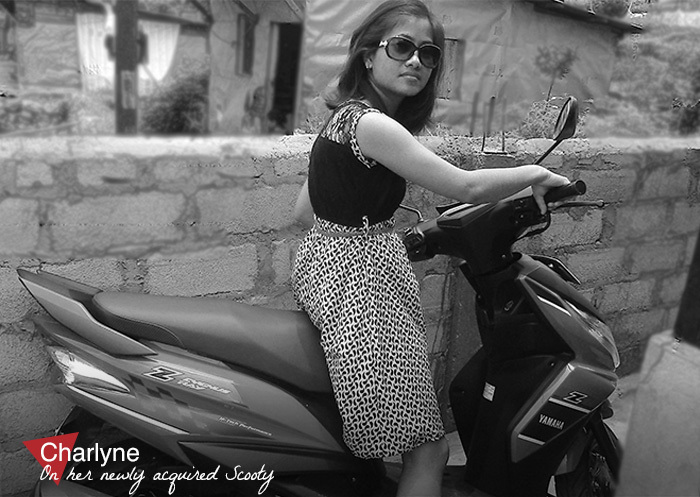 I bought myself a Scooty (a small two-wheeler) with my savings of close to two years plus the share of the pool money that I got from Chillibreeze. I guess you know what is pool money? Our company sets aside a portion of the sales of e-Products that we sell from our e-Commerce websites such as www.24point0.com, www.muezart.com and distributes it to all the employees once a year in January. What we get depends on our performance. The best part is that everyone who has completed one year at the company become eligible to receive a portion of the pool money! My main area of responsibility is handling the PPT formatting needs of our customers, our core service area. I have been given additional responsibility of training new recruits. I never knew I would be able to Train and that too well. This was a hidden skill in me that I discovered thanks to Chillibreeze and I find that I enjoy training. Training sessions need group planning by the trainers, which improves my ability to work in a team and I am getting sharper at assessing people too. From each group that undergoes the three-month-long training only the best are retained by Chillibreeze. Thus, it is up to us trainers to do our best to rise every trainee to their full potential within the training period. I feel privileged that the company has trusted me with some big customer accounts. This means I have no room for committing errors. I need to be good myself and be able to QC others’ work too. 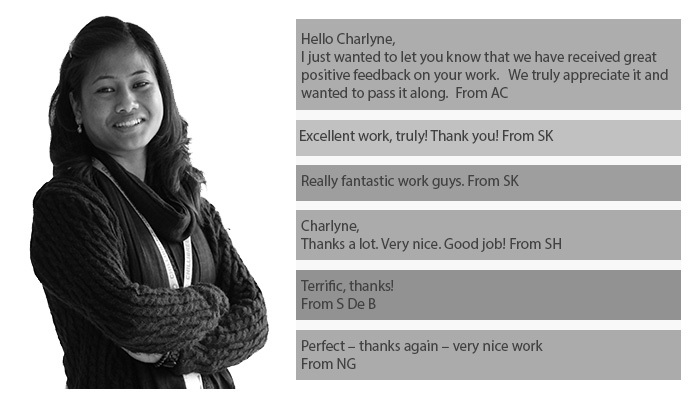 Every positive feedback from customers and mangers makes it all the more fulfilling. Honest feedback from my colleagues and managers has helped me grow. I was told that I was seen as being a rude person! I have seen a big change in myself in this area. I take care not to be harsh, mean or impolite in any of my dealings with people. I worked on it after getting the feedback. Chillibreeze encourages us to be honest in our feedback to others and also to take feedback sportingly, so we can grow as people! That is why I said that it was not just monetarily that I gained in Chillibreeze. I have grown in so many areas! And I am discovering hidden potential in me too, like my ability to train! Wanted to be a doctor but my class 10 marks were not good and I could not opt for Science! I was very disappointed then. But no longer! I am so happy doing what I am doing now. I enjoy music and dance, but enjoy time spent on a computer the most! For some strange reason, I enjoy typing! I also like chit-chatting with my sisters and spending time with my family. I do not have too many friends outside of Chillibreeze. In a way, you can say that I am an introvert! But, once I get going, I talk a lot. In fact, a few of my senior managers have told me I am too talkative! I think that the most challenging thing that I have done was giving a speech in a Prayer Service in the Church! Talking in front of people was hard, that too for an introvert like me. I am looking forward to Chillibreeze growing as a company and I being with Chillibreeze for many more years and rising to higher levels as a Manager, Sr. Manager and so on.